Spray a 9 x 9 inch glass or metal pan with non-stick spray. 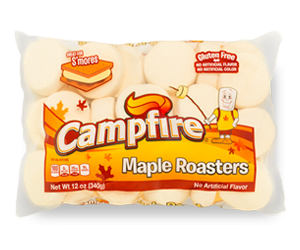 Open Campfire® Maple Roasters and set aside 2 marshmallows. Melt butter in a large pot over medium/low heat. Add remaining Maple Roasters to butter and stir until completely melted. Remove pan from heat and stir in cereal. Add in chocolate chips and stir. Press mixture into prepared pan. 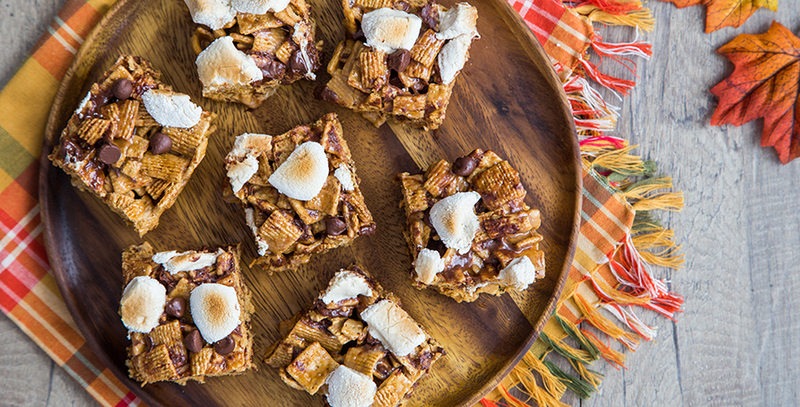 Using kitchen scissors, cut reserved marshmallows into small pieces and sprinkle evenly over the top of the treats. Place treats under a broiler set to low for about 2 minutes or until marshmallows are toasted. Watch carefully to avoid burning. Allow treats to cool before cutting and serving. Enjoy!